Breastfeeding in public has always been a sensitive issue and attention turned to breastfeeding in the workplace after Redi Thlabi took her firstborn, Neo (nearly four months), to work this morning. 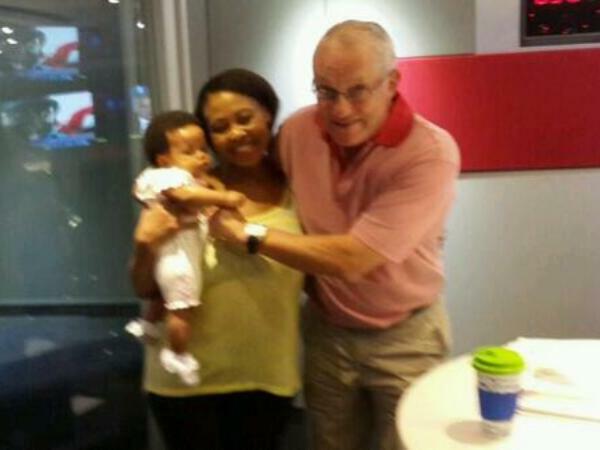 The Radio 702 presenter explained on air that not having electricity resulted in her expressed breast milk needing to be thrown away. Then she jokingly added that she might not have a job after today. Yashfa MK said more South African women should have workplaces with breastfeeding friendly practices and policies. Another follower, @milkmatters, applauded Redi for being a working mom while breastfeeding saying she is “a prime example of how you can do both”.